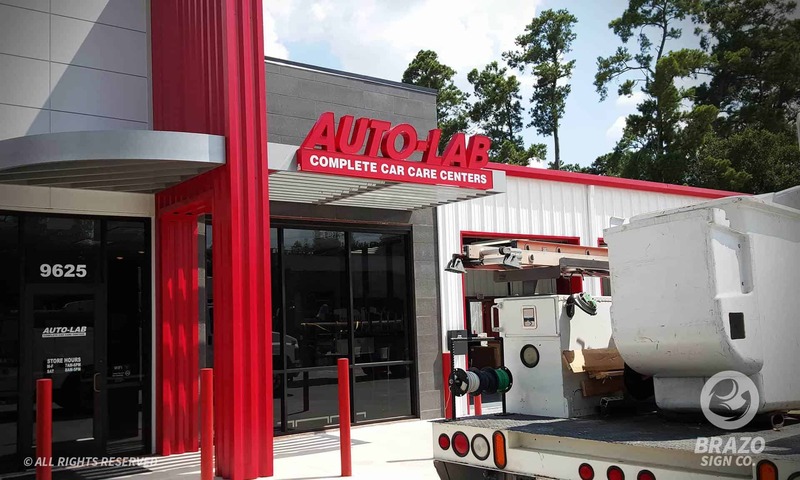 Pylon Sign Install for A Plus Transmission Houston, TX - Brazo Sign Co.
With over multiple locations in Houston, TX, A Plus Transmission Specialists decided to open a new location in 8619 North Houston Rosslyn. Brazo Sign Co. was chosen to permit and install their new pylon sign. As you can tell, they were extremely excited for their new pylon sign to be installed. 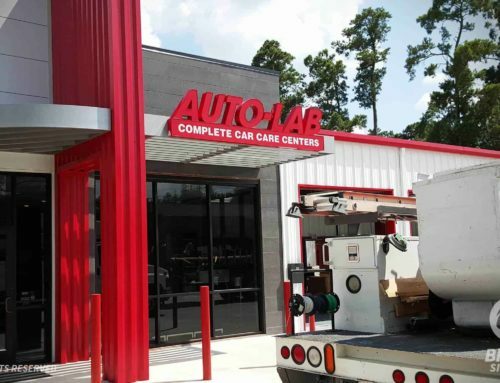 Brazo Sign Co. has done plenty of pylon sign installations all over Houston, TX. 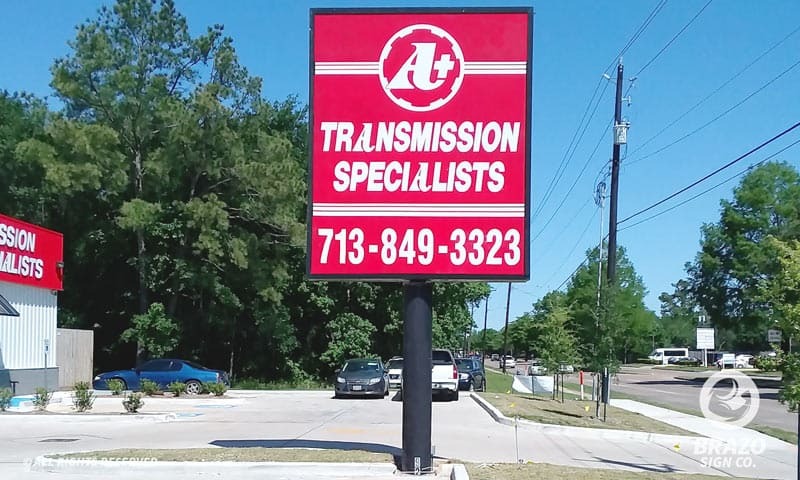 We would like to thank A Plus Transmission Specialists for allowing us to be a part of their expanding business. Contact Brazo Sign Co. for more information on pylon signs.